Available February 26th on Windows PC, Xbox One & PS4. We finally have our hands on the latest game in the Dirt Rally series with Dirt Rally 2.0, but will it carry on the trend of Dirt 4 which felt slightly more forgiving than the old Dirt Rally or will it completely step it up again and go back to the ultra real handling leaving players struggling to reach the finish line with all car body parts attached! Dirt 2.0 won’t go easy on you this is an out and out sim! From the minute the game loads up you are no longer greeted with the academy to get yourself accustomed to one of the most skilful driving sports around, instead it’s straight to racing. The option to select the handling between either gamer or simulation is no longer there either, instead there are just options to adjust the handling of the vehicle like traction control and stability control so it would seem Dirt 2.0 will be adopting the handling and the out and out simulation of the original Dirt Rally rather than the easier handling and more forgiving Dirt 4. The main career allows you to earn money, buy and tune new and used cars as well as training your staff or hiring new ones. Once I made my profile which had a few different options including 9 different skins and a race number between 1 and 99 I decided to start with the career mode, I used a car I was awarded with the day one edition of the game, the Porsche 911 RGT Rally Spec. This sadly for me proved to be a big mistake! Dirt 2.0 is punishing and it will happily punish your every mistake, even the slightest touch on the edge of the track will most likely result in that nice new rally car bundling down the side of a cliff with body parts flying off until the computer decides enough is enough and resets the car to the track! The Porsche 911 was just miles too powerful to start with and even with the traction control and stability control set to full I constantly found myself performing a nice but unplanned 180 throughout the first few corners and straights for that matter of the course! Luckily Dirt 2.0 doesn’t force you to jump straight in and use mega powerful rally beasts, there are plenty of slower cars to get started with and progress up through the power bands until you are finally ready to tackle some of the higher powered rally cars. Like Dirt 4 you can start the career and start with lower powered and older rally cars, as you progress and earn credits new cars will become within financial reach and it will be down to you to choose the cars you want, the upgrades they need and also the repairs to actually keep them on the tracks racing. 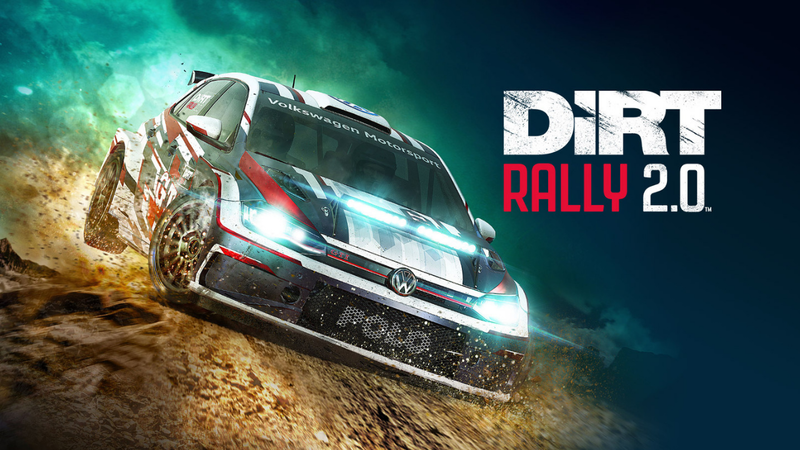 The game also offers players the opportunity to buy used rally cars like in Dirt 4 at a discounted price which is a good option when you are short on cash! The upgrades option is a good way to upgrade a car if you have a personal favourite and would like to use it in some of the higher powered races. The career mode is a little disappointing in all honesty, race through as many stages as you can against AI matched similar to your ability in both Rally and Rallycross, hopefully win, earn credits and then buy new cars or tune them. This is the main aim of things and a more in depth career would have been nice. Historic which takes players through rally history and racing iconic rally cars. The AI wasn’t perfect but for the most part provided a more than adequate challenge, the main challenge through is actually getting the car round the track in one piece! Something that stood out from the start was the visuals, this game looks really good! Light reflects in the puddles on the roads, while the rain is thumping down on the windscreen with the wipers working away to try and clear your view as your hurtling around the circuit struggling for any kind of traction! The different surfaces in the game all feel very different and it’s very obvious when there is a change in surface type. One thing that I do think is missing and a little disappointing from the weather is the fact it isn’t dynamic, everything looks fantastic but if it was dynamic and suddenly changed to rain from a cloudy day it would make things very very interesting, definitely something for future games in the series as it really would add so much to a race. Races aren’t all that predictable either though as I have come across other cars that have crashed on the track and this can really catch you out if your not paying full attention, this type of dynamic in the race adds a level of unpredictability which is great and adds even more difficulty to a game that is more than hard enough! Night time racing is good fun and provides more than a decent challenge with your co-driver being more important than ever at this point with corners coming thick and fast and very little to be seen in the distance! The difficulty can be made pretty much impossible if you manage to smash your headlights as navigating some of these circuits in the dark with no headlights is virtually impossible! With surfaces all feeling very different so do all the different cars in the game. Front wheel drive cars actually feel like they are being driven at the front whereas rear wheel drive cars can feel like the back end is going to go at anytime! The four wheel drive cars handle really well and feel well suited to rally just as you would expect but picking the right one for the track and your driving style is also essential! No photo mode but screenshots can be taken from replays. Shame that there is no photo mode as the game looks fantastic and some really good pictures could be caught with one. The Mitsubishi Evo VI I used actually felt really planted to the road with just enough power to keep it feeling fast and agile, compared to the rally beast RS200 (one of my all time favourites!) which felt a little less stable and planted and I always had that feeling of I might lose it at any point with the Evo just feeling alot safer! Cars can be fine tuned before races and unlike the previous Dirt Rally you can now even select your tyre compound! So we know Dirt 2.0 is not easy by any means but I did find using a wheel instead of a controller made things alot easier and also faster compared to a controller. The controller is fine but I constantly found myself over correcting steering or just steering in to hard which I wasn’t doing while using the wheel. With a controller I found myself off the circuit a fair bit but with a steering wheel on a few occasions I managed to complete the whole circuit with basically no damage compared to the controller where in the end I had to abandon the race due to my car being completely trashed! The options menu gives players plenty of different options to tweak and choose from especially if you do have a wheel which it will allow you to either select a custom pre-set for your wheel if it’s available or if not you can tweak the settings and button mapping to suit the way you want things. Don’t jump straight into the higher powered cars, they will catch you out faster than you may think! Dirt 2.0 impressed me with it’s attention to detail throughout, while the game doesn’t have the biggest roster of cars it has all the ones that any rally fan could ever want and with it even allows you to tune them how you like. The same thing applies to the tracks, while there is not that many of them (six locations in total including: Spain, New Zealand, Poland, Argentina, USA and Australia) the amount of detail within each one is pretty impressive and at times breathtakingly realistic! Even off the road into away from the main track (Yes I spent a fair bit of time off the track, but I’m no rally driver!) there is a good amount of detail. I noticed that roads even carry tyre tracks from where you have been on a previous lap which is pretty impressive considering the lengths of some of the courses. It’s all the little small things and the attention to detail that make Dirt 2.0 one of the best, if not the best rally experience on the market right now! It even includes the steward waiting at the end of the race and having to stop next to him to finish, a nice touch and just proves the lengths Codemasters have gone to getting this right. Onto the sound and probably one of the most important things! Anyone actually wanting to make it to the end of the course will really appreciate the co-driver! The sound effects of the cars were really good with all having their own unique engine sound. Road surfaces all sound very different with it being very obvious when on tarmac with the squeal of the tyres while struggling for grip of the stones chipping the inside of the arches as you fly across gravel, the game from a sound point is spot on. Back to the co-driver and I did need to increase his volume as the car can sometimes make him a little hard to hear but the directions are prompt and clear and you will need to be listening carefully to not get caught out by an unexpected sharp turn! Being a review copy the game did show a few little performance stutters but according to note I have this will all be addressed in the day one patch for the game so if you notice any stutters in any of the footage this should be resolved once the game is launched on February 26th. Dirt rally 2.0 is a worthy successor to Dirt Rally, it has improved in most areas with one of the main ones being the visuals, the game looks stunning at times with amazing weather effects and tracks that actually look and feel like real rally courses. Theres plenty of cars to try and buy as well as tune and there are also a decent amount of modes and options for players to keep busy with. Sound effects are up there with the best and listening to your co-driver will actually determine whether you make it to the end or not! Dirt Rally 2.0 is possibly the best rally game available and it’s impressive with the attention to detail Codemasters has put into this game, for rally fans and anyone wanting a challenge this realistic sim racer is more than worth buying! Plenty of options, cars and tuning, not many locations but the amount of detail in all of them is top of the line!